The thought of baking this bread in September (in Oregon) didn’t really appeal to me. 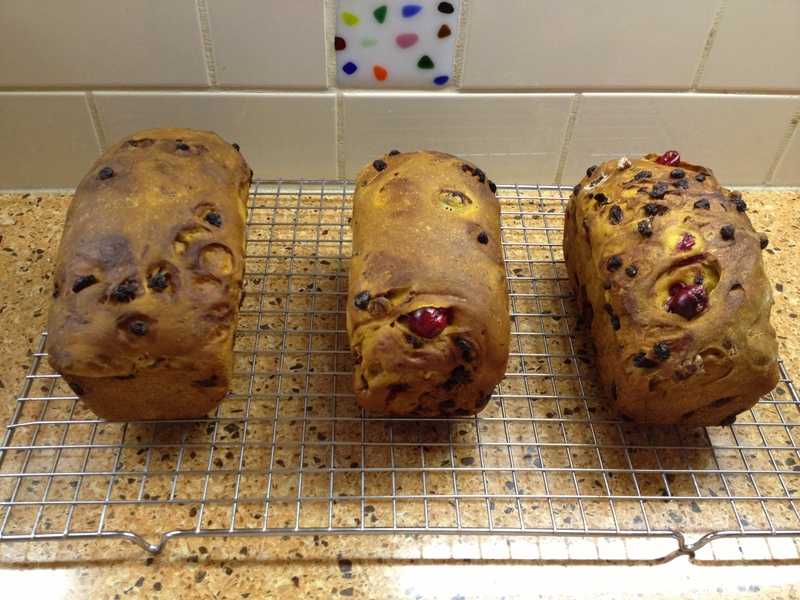 (Hmmm, 90 degree weather, fresh cranberries at least six weeks out, refrigerated dough, etc.) But in November? A day before Thanksgiving? Perfect! My only mistake? I over-baked the loaves so they’re a little browner than I would have liked. But, they’re fresh out of the oven and I’m going to cut into them within the next hour. 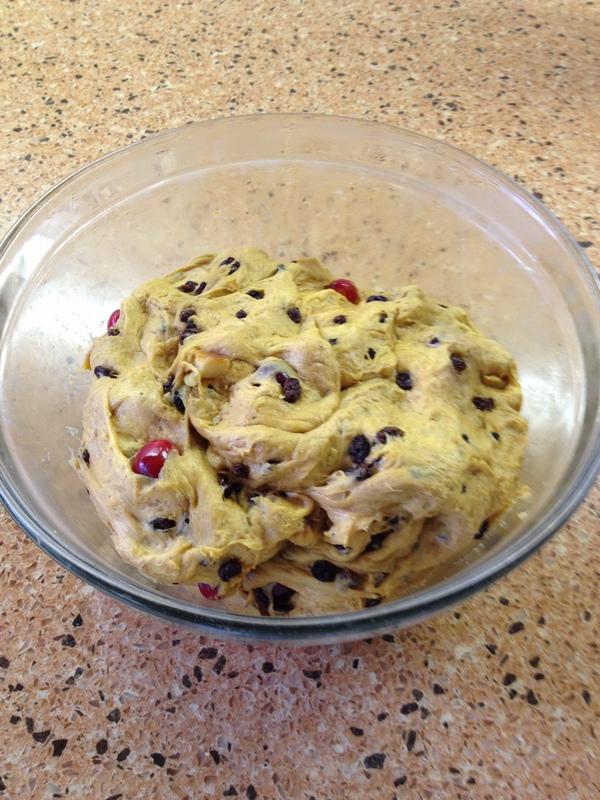 Oh, and I broke my cardinal rule of no substitutions: I don’t like raisins, so I used currants instead. Addendum: So, I’ve cut into the loaves and I think they’re delicious! I’m not a pastry/donut person – they leave me unsatisfied and my mouth with a “coated” feeling. This bread, however, seems to be the perfect medium to have with a cup of tea. And, now that I know it really needs some advanced planning to make, I will make it again – with planning! When I was a small child, my oldest sister always made something she called “no-fail fudge” for the holidays. 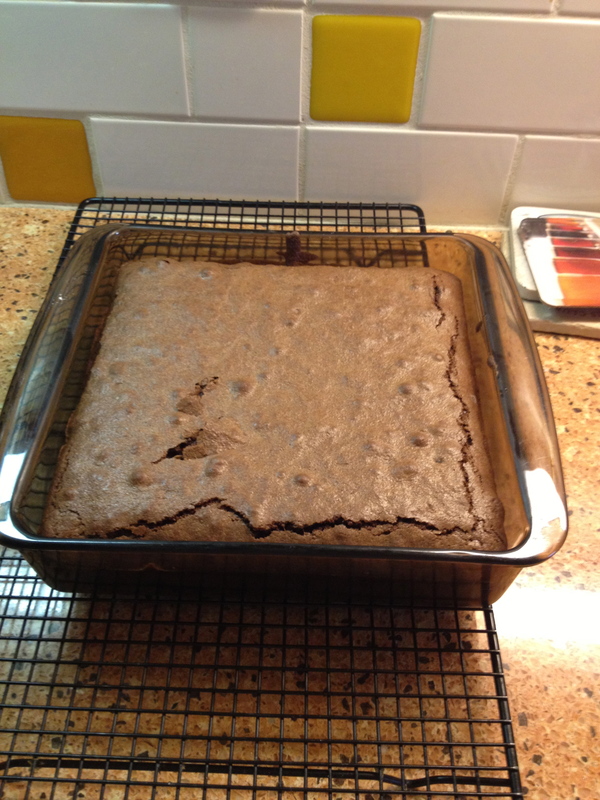 These brownies are the closest thing I’ve had to those since I was very, very young! My best description is fudge meets cake – yummy! I must admit, I was skeptical at the direction to not over bake. Well, I thought they would be doughy, rather than the soft deliciousness they were. I knew they were a success when my eldest son’s reaction was, “Nope, I don’t want to take any home. They’re waaay too chocolaty.” I didn’t know that was possible, but he’s always had that to save him from overdoing it! These will definitely be made again with only one change – that is an addition: nuts! That was the only thing missing. So, I’m late (well, two days – not as bad as it could have been!) with the muffins, but I really wanted to make these. My family is a big fan of muffins (and scones), so this seemed like a natural fit. Well, they’re good. Not great. Not spectacular but they are good. I think next time I’ll make them either with a combination of shortening and butter or all butter – there’s something about the flavor of a muffin made with butter! 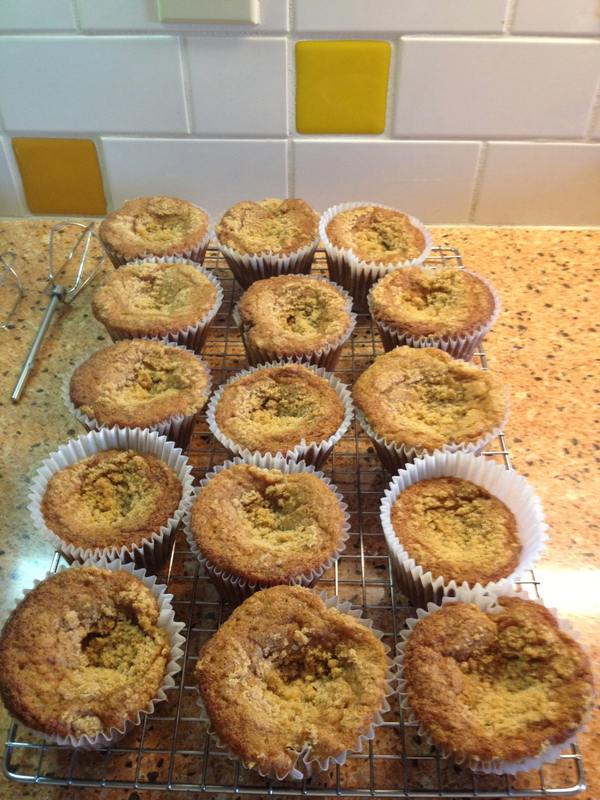 I am somewhat flummoxed, though – I’ve never had a muffin sink in the center (well, under baked, not withstanding). Oh, yeah – and I would make them again.